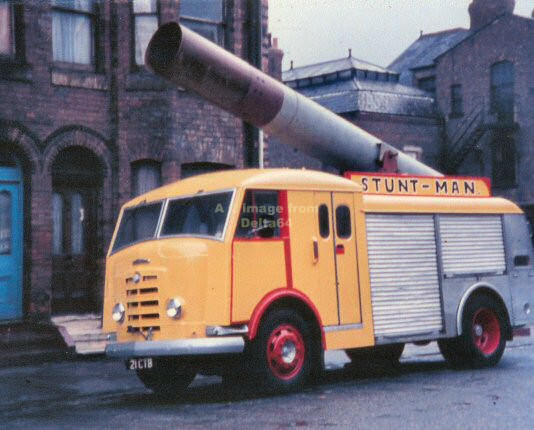 Ramsbottom has had a reputation for very smart appliances as seen her with Ford OVU853R. 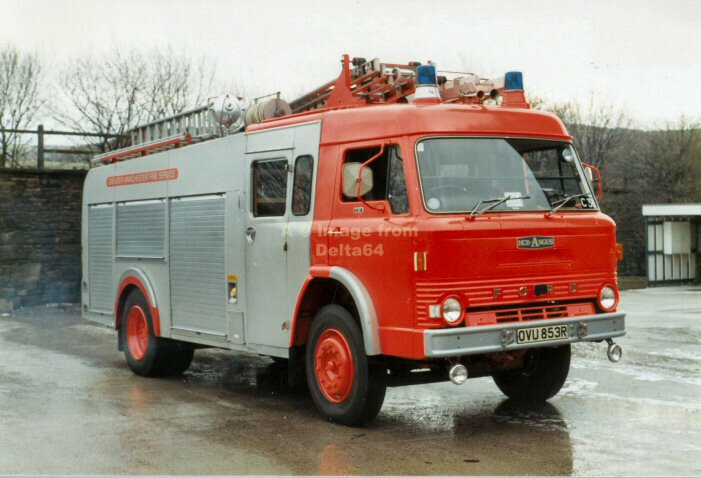 Looking equally smart was Ford D1617 URJ790S despite the damp conditions. After two batches of Dodges bodied by Mountain Range the later 1989 series reverted to Fulton & Wylie as seen on G103RBA above. 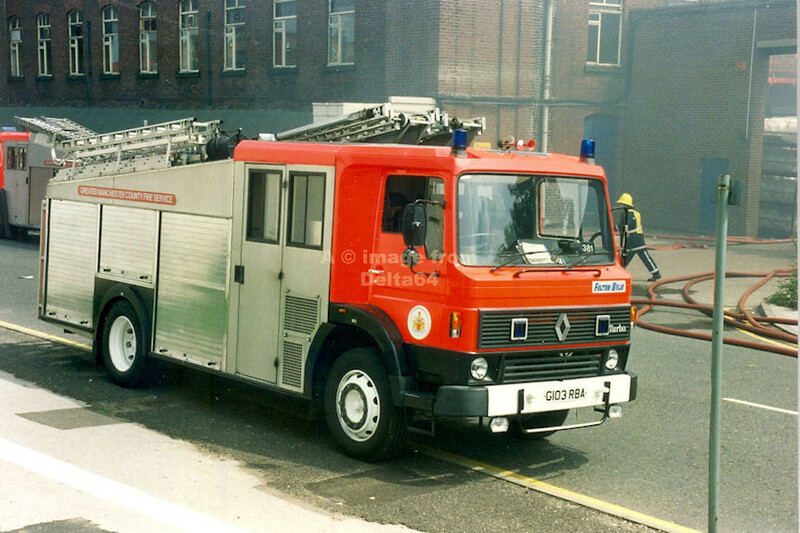 Similar appliance G104RBA was photographed in the station yard. 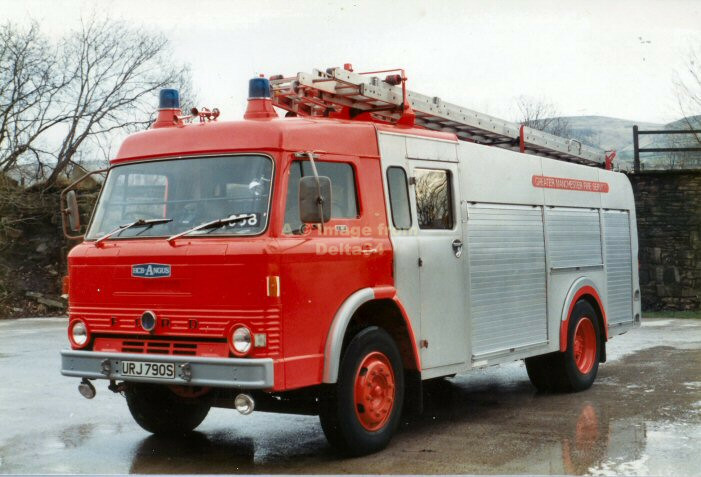 L4P M319NVU was seen here whilst in regular service. 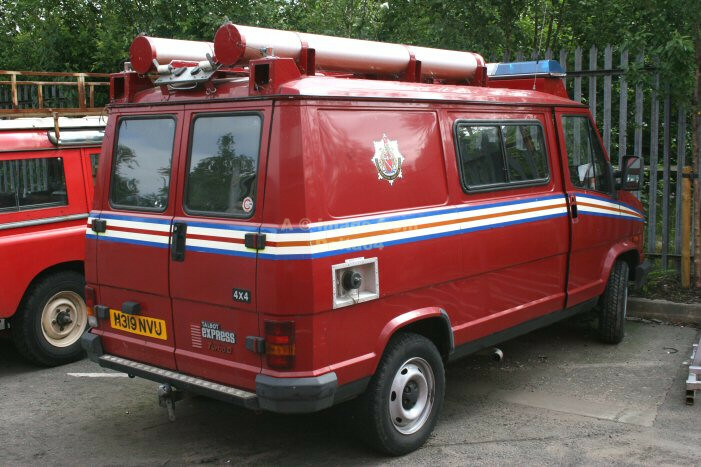 Reserve L4P M319NVU was seen in the yard at Leigh TSC, 16 July 2005. 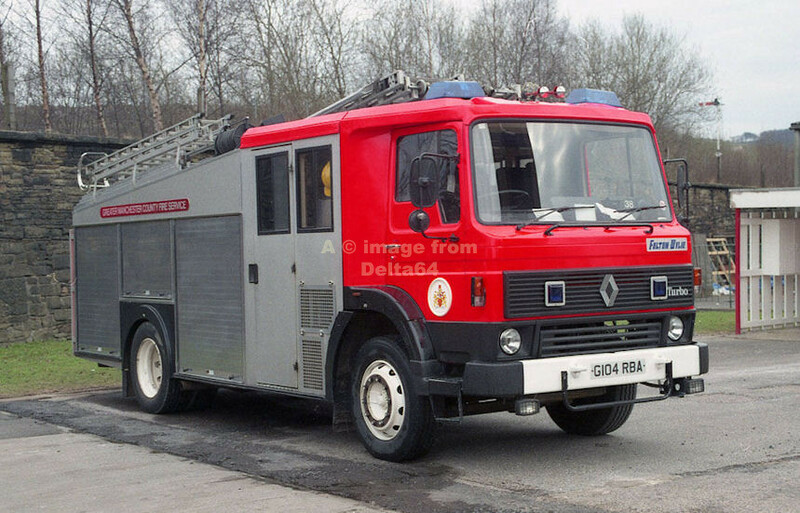 It was formerly allocated here before sister appliance M318NVU, which is believed to have moved from Bolton North. 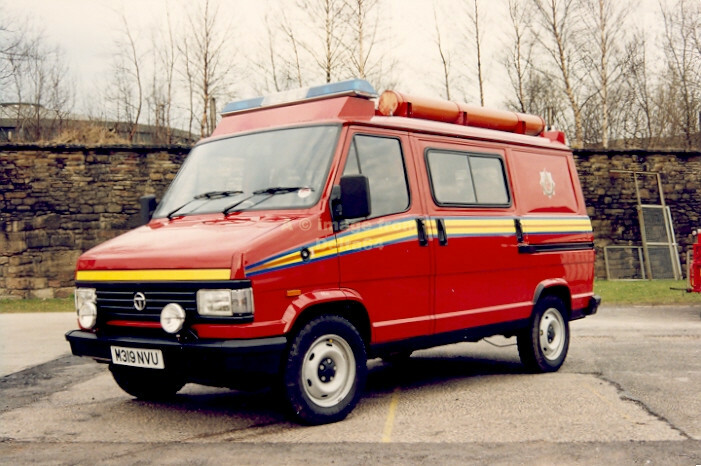 during a 20 pump moorland fire, 15 April 2003. Volvo S301RVM was seen in the station yard, 21 January 2012. Volvo MV53EXN was seen at Leigh T.S.C., 5 January 2012. 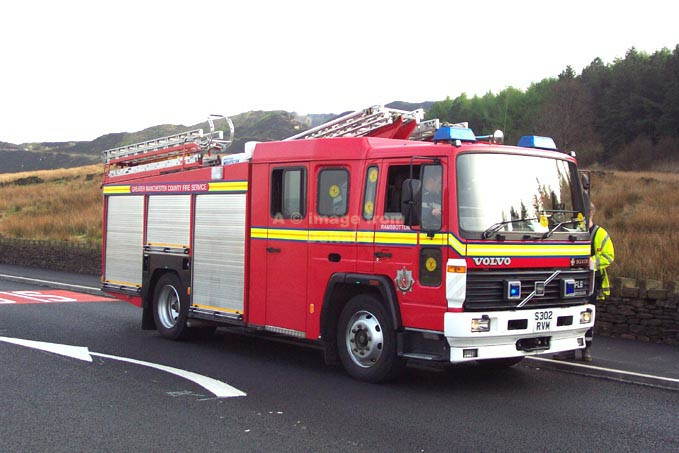 Volvo MV53EXM was seen in Wigan following a major blaze in the town, 14 June 2015.